Last weekend saw the annual Warley National Model railway Exhibition at the NEC, this post rounds up some of the the news and items of interest from mainly a Southern / BR(s) perspective. It is usual for many of the manufacturers to use the event to make announcements of new items or showcase updates to new products under development. 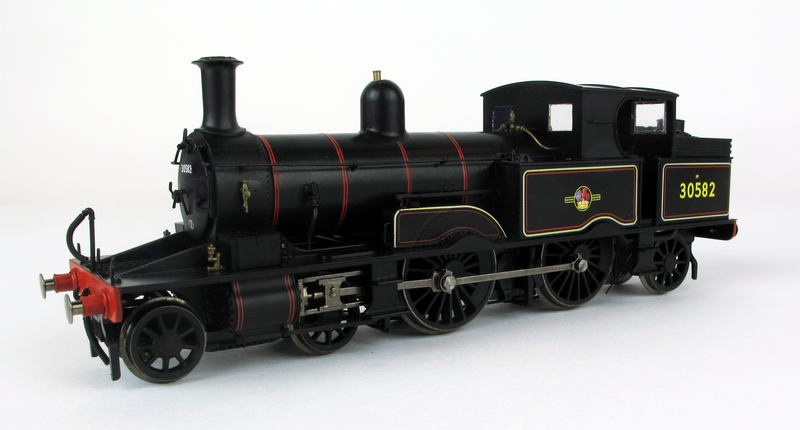 This year was no exception although Hornby of course announced their plans for 2016 last week but held over two items to be announced at the show. Many thanks to those of you who read this blog for popping by the Topley Dale layout on the Hornby Magazine stand, where I was playing trains during the weekend, and saying hello it was good to see you. In addition to the announced plans for their 2016 range last week, which I have also recently updated, so check back again for the additional information. 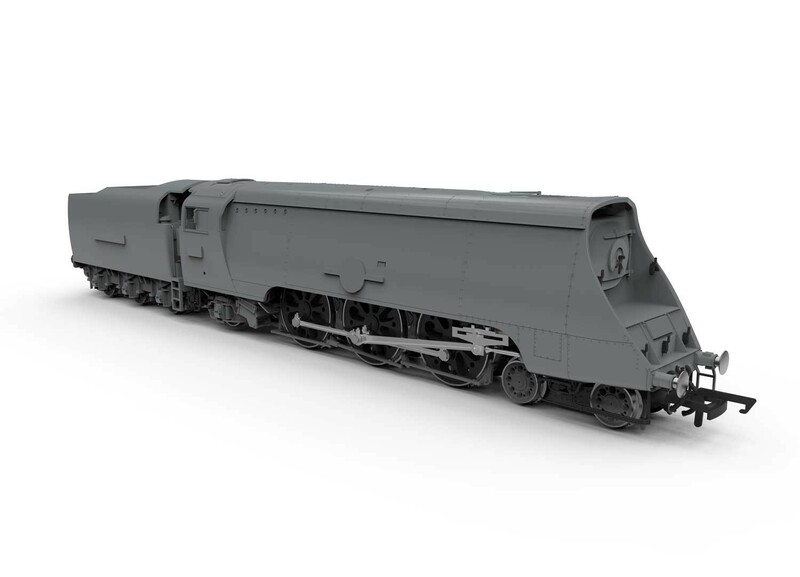 Hornby also announced two further models in the shape of NER / LNER Raven Q6 0-8-0 and Holden B12 4-6-0. I was also able to photograph one of the production samples of the ex LSWR 0415 class Adams radial tanks in the shape of number 30582 in BR lined black with the Drummond boiler (it should be noted that one of the separately applied safety valves was missing on this sample that had been handled quite a bit over the weekend of the show. The first of these model variants announced as part of their 2015 range should available during January next year. It makes an interesting comparison with the photograph of the Oxford Rail version, which has now hit the retailers in my post here. I will let you decide which version you prefer. 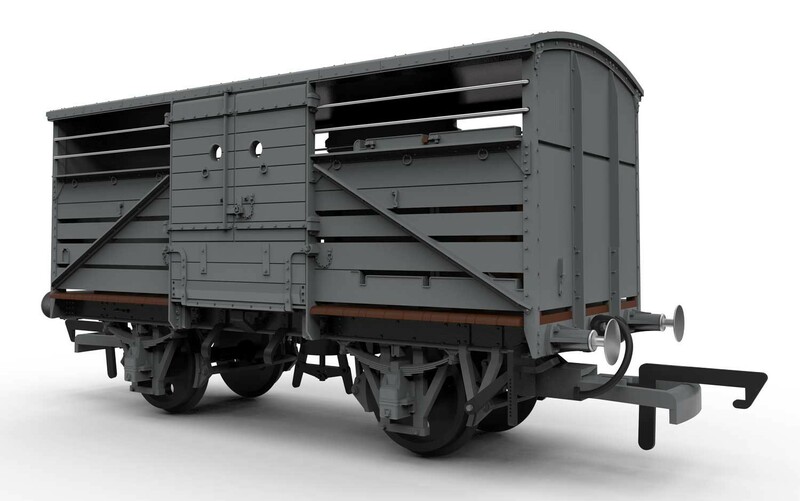 Also photographed was the Class 71 due for release in May 2016 and the 3D Stereolithography prints of the two types of SR cattle wagons (Diagrams 1529 and 1530) although being in white and under the photographic lamps made it tricky to capture all of the detail that is present. 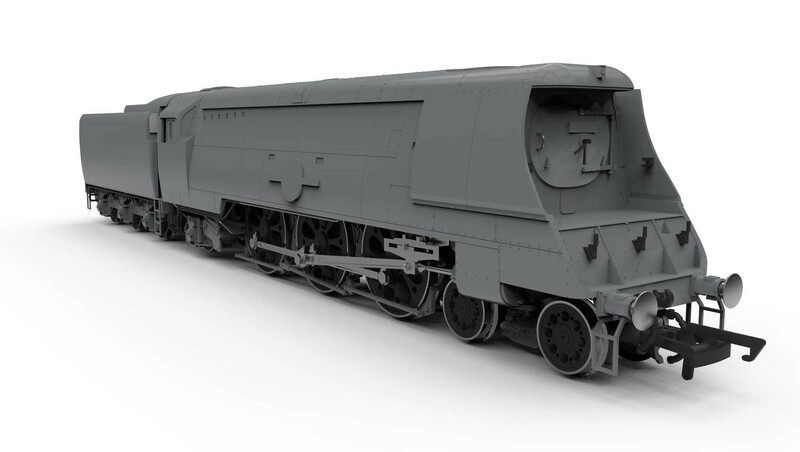 I was also able to gain some clarification about the proposed ‘early BR’ liveries for the two series three Merchant Navy locomotives, both will be in lined Brunswick Green. Also despite how they are currently listed on Hornby website I can now confirm that in fact there will be a SR and BR livery version of each diagram. There are still still a few outstanding queries with respect to the range that I am in communication with the development team at Hornby about, so what this space. 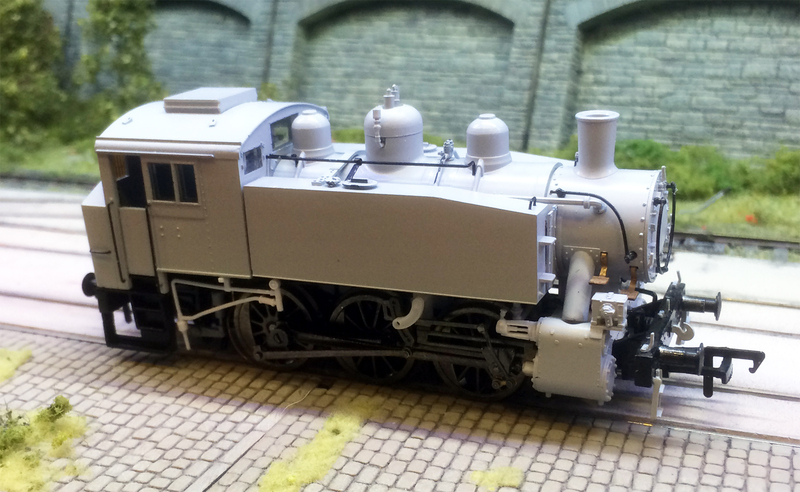 As is usual for Bachmann / Graham Farish no new models were announced at Warley. However they did have on display the Engineering prototypes of the Graham Farish ‘N’ Gauge SR PLV/ BR PMV Passenger luggage vans that just like there recently released Bachmann 4mm counterpart looked exceptionally good. 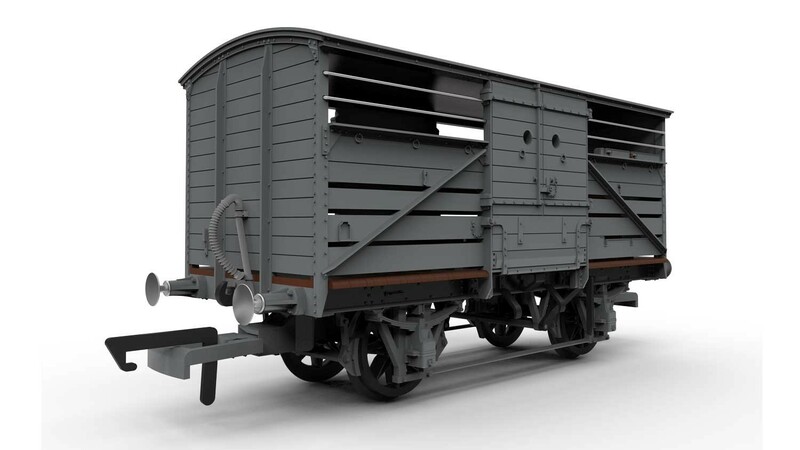 Other than that there was no other news to report from the Bachmann / Graham Farish stable on the Southern front, with no news to add, for example, on the progress of the previously announced ex SECR birdcage coaches. 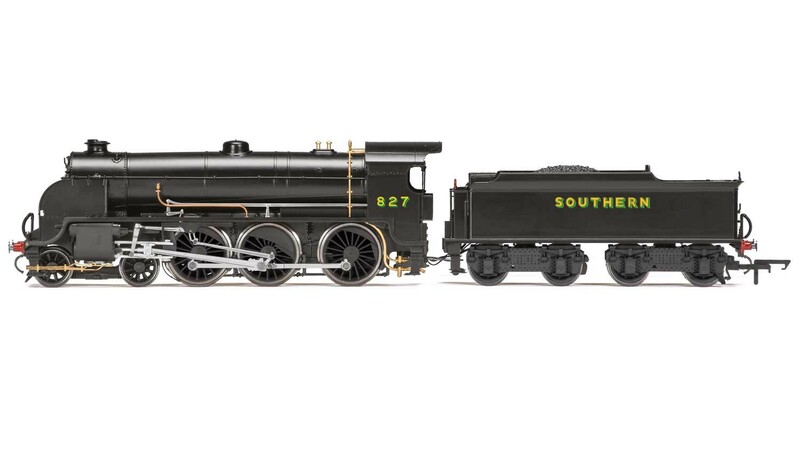 Model Rail Magazine had running samples of their ’00’ SR 0-6-0t USA tank that was originally announced, back in April 2012 as a project with Dapol but since September 2013 has been with Bachmann. Livery details are currently being signed off before manufacture can commence soon. Model Rail USA tanks a line up of the variations, see if you can spot the differences! The level of and shear number of detail differences between the variations of this model being produced, for the different owners such as USATC, SR and BR(s) and eras, is quite outstanding and mechanically they ran exceptional well. Once the livery samples are signed off it is hoped that these will go into production during the first quarter next year. The main surprise at Warley with respect to Dapol, although not Southern related, was the announcement of a new ‘Black Label’ range of extremely high specification locomotives with Diecast bodies, synchronized DCC sound with dual speakers, smoke units (including from the whistle when the sound function is action and working lights. It will be interesting how this higher priced range is received by the market and what further models get released in the range. They also had the first EP of their ‘0’ gauge class 08, which looked very impressive (and somewhat better than the release CAD images appeared to look) along with further livery variations of their recently released A1 and A1x 0-6-0 Terriers also in 7mm scale. I was able to photographer their new ’00’ gauge class 73, the first versions of which are due to be at the retailers later this week! The level of detail is pretty good although I do question slightly the shape of the domed roof above the cab as it appears to have a slight dip. 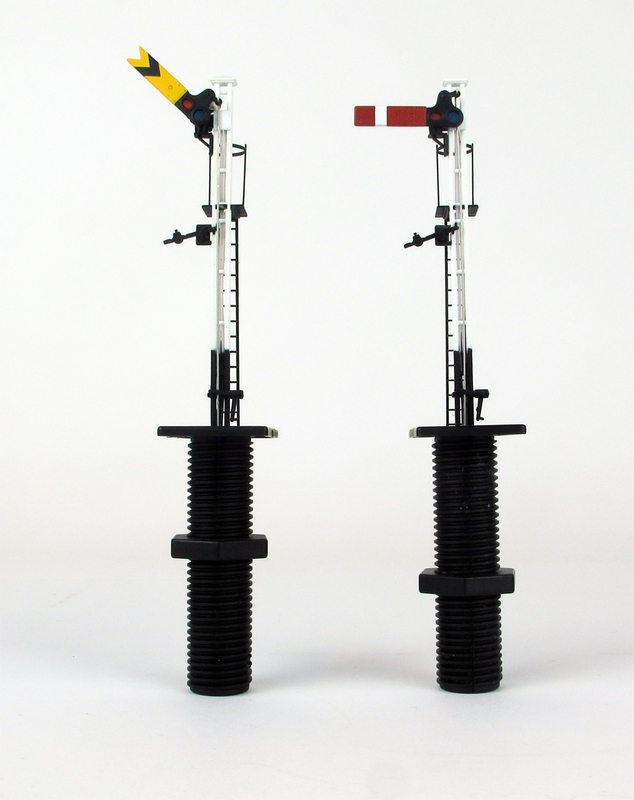 Also in 4mm scale on show were the first samples of the working Southern Signals both rail post and lattice post (the latter being a rather dinky platform starter). The first livery sample of the ‘N’ Gauge Schools Class V 4-4-0 was present in BR lined black, although the main issue and most instantly noticeable was the cabside number which was 921 instead of 30921 and too large in size and possibly too white rather than cream. The lighting also accentuates the light grey lining , although in reality this did appear to be too light nearly white and prominent. AYJAY models whom have been producing a range of 4mm scale resin bodied and etch brass Southern / Southern Region EMU kits (with some also available Ready to Run) launched a 4mm version of the Class 508 EMU in both kit and Ready made versions and in ‘N’ Gauge a version of their 4Cor EMU kit at the show. Many thanks to Grahame Hedges for the heads up. I think that just about covers it for now, if there is anything that I have missed and am advised of I will update this post accordingly. As has been evident over the last 12 months Hornby have changed the way in which they are announcing new produces to market, moving away from a single announcement around Christmas time, and have already made headline announcements of some of the new models for 2016 during the year. These from a Southern Railway perspective had included Bullied Merchant Navy Pacifics in original air smoothed form (February 2015) and ex LSWR 58ft non corridor coaching stock (June 2015). Hornby have today (26/11) just prior to this weekends Warley National Model Railway exhibition announced here the full details of their entire 2016 which has included a number of previously unannounced items including a SR diagrams 1529 and 1530 cattle trucks from new tooling, the latter being the Bulleid version with plywood ends [Edit 07/01/16. Hornby have now further clarified and confirmed these releases as being two different running numbers in SR livery for the Dia 1530 style and the Dia 1529 style will be two different running in BR livery, with the liveries reversed for 2017]&nbsp The aim of this post is to round up the announcements that are of a Southern Railway / Southern Region interest, although some details are still to be confirmed and I will update this post once further information becomes available. Also two new models will be further announced at 1.30pm direct from the Warley National Model Railway exhibition this Saturday. Note: now confirmed as both the diagram 1529 (Maunsell) and later diagram 1530 (Bulleid) trucks have been tooled. Also new tooling announced for a BR 20t Coke wagon.